Suffolk is peppered with a number of old buildings, some dating back thousands of years and many which have some very colourful histories! 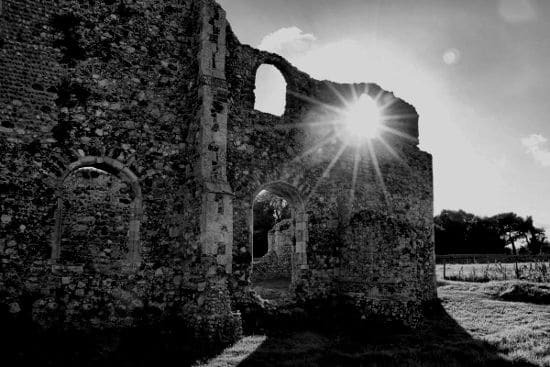 As a result, several of Suffolk’s most notable buildings and tourist spots are among the most haunted places in Suffolk. 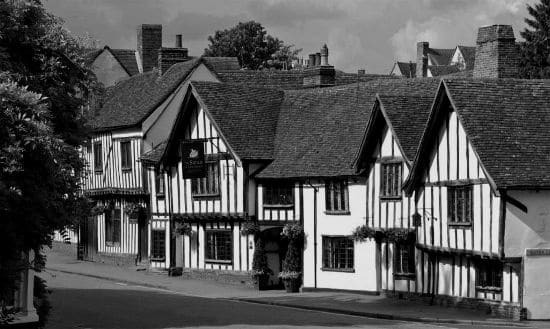 The Angel Hotel in the Lavenham area of Suffolk has several different claims to fame. First of all, it is owned by famous chef and restaurateur Marco Pierre White, second it is Lavenham’s oldest inn and finally, it is one of the most haunted places in Suffolk! 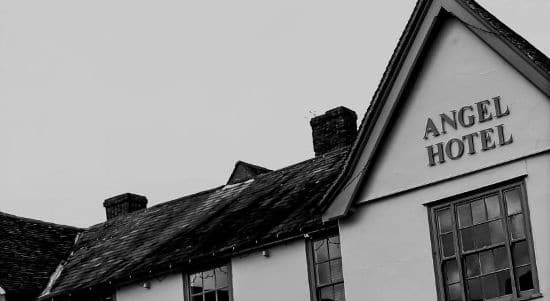 The Angel Hotel dated back to the 1400’s and is said to be haunted by the spirit of a former landlady called Mrs Goodhew. Witnesses have been down right terrified by her ghostly apparition in various different parts of the old inn, but they really do not have any cause for concern. Mrs Goodhew is said to be a very pleasant and friendly ghost. She usually just smiles at anyone who sees her before quickly disappearing before their very eyes. Perhaps she still feels obligated to check on her guests? 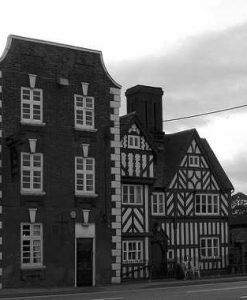 Another of the Suffolk ghosts can be found in Seckford Hall – an old Tudor style house which can be traced back to 1530s. It was originally built to serve as a residence for Sir Thomas Seckford, an official at Queen Elizabeth I’s court. It is he himself who is said to haunt the building today. 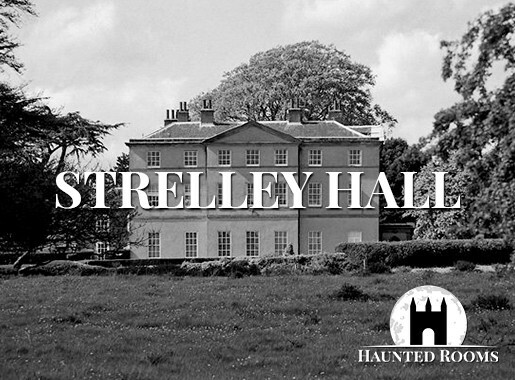 A ghostly apparition of Sir Thomas Seckford himself has been reported by several terrified witnesses to wander the hall at night. He usually appears wearing a steeple crowned hat, white attire and carrying his wand of office. He usually appears fairly angry and this is believed to be because the money that he left in the Seckford Trust which was intended for the poor people in the area was actually embezzled by rich people. No wonder he is not very happy! Seckford Hall is now a beautiful hotel, so if you want the chance of encountering Sir Thomas for yourself, why not go ahead and book your stay! Greyfriars Priory is little more than a ruin these days, but those ruins are also incredibly haunted. It is mostly spooky monk that are spotted around Greyfriars Priory. 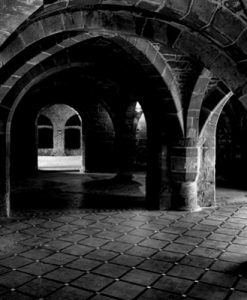 Apparitions of the monks are frequently reported all around the ruins, but perhaps the most terrifying encounter to date is one documented in 1926 a witness claimed to have seen a huge phantom dog with will glowing red eyes. This is enough to keep most people away from the ruins at night, but plenty of visitors still stop by in the hopes of seeing a ghostly monk! Bungay Castle was originally a Norman castle built back in the 1100s by Roger Bigod, Earl of Norfolk. There are only partial remains left, but it is still well worth paying a visit to! Over the years several of the Bigod family restored the castle and in 1294 one of them added the twin towers that are still visible today. 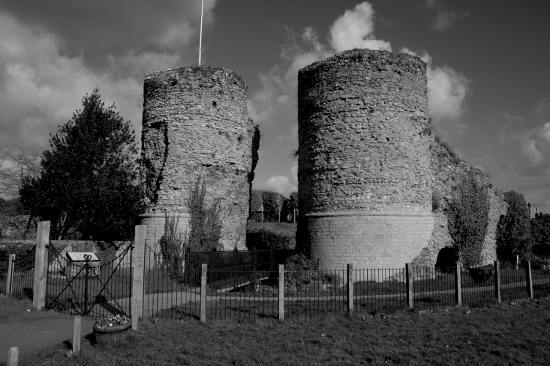 The castle is now in the hands of the Bungay Castle Trust, but with such strong links to the Bigod’s it comes as no surprise that at least one of them is still in residence. Hugh Bigod is said to haunt the remains of the castle. There are also tales that he sometimes manifests as a black dog, but others say that this is not Hugh, but rather the legendary ‘Black Shuck’ that is said to roam the castle. Either way, the locals steer well clear of the ruins after dark! 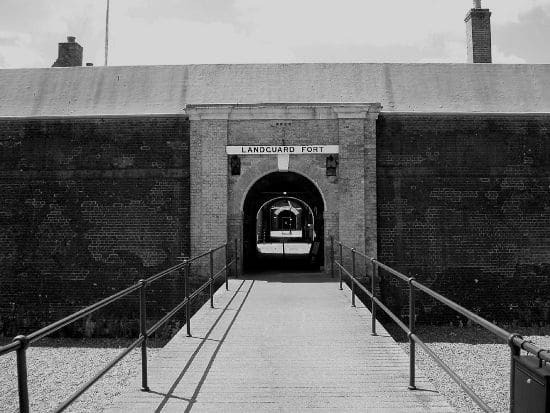 Another must see stop on any tour of haunted Suffolk would have to be Languard Fort. One of the staff who works in the attached gift shop was frightened one afternoon by the sudden appearance of a Victorian era Artilleryman walking out of the shop’s wall! He smiled at the woman, turned around and walked back into the solid wall! This was the first report of such an apparition, but certainly not the first time that strange activity had been reported. In fact, several members of staff had been reporting poltergeist activity in the shop for a couple of years in the form of items suddenly flying off of the display shelves with no explanation! This is not the only spooky thing that has happened here. Some time ago, local children playing near the fort ran home terrified with tales of a ghostly coach being pulled by horses across the ditch and into the fort. The place where they said they saw it was where the old drawbridge would have stood several hundred years earlier! There is also a spectral soldier seen patrolling the Bastion who was spotted by soldiers stationed here during World War II. Staff have also reported hearing the agonising screams of a young soldier who died of a plague like disease while held in quarantine in the castle. The Woolpack in Ipswich has a bit of a reputation thanks to its resident ghosts. 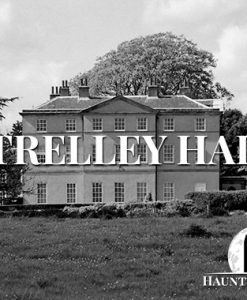 The building is actually considered to be one of the most haunted pubs in the United Kingdom because of the large number of ghosts that have been reported there. 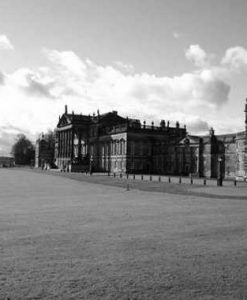 Just some of the spooky residents include Admiral Edward Vernon, a drowned sailor, a monk and a disgruntled former owner of the bar! One of the most well known of the ghosts is Admiral Vernon who was a hated figure in the navy thanks to his introduction of legislation to water down the rum on Navy ships! He is often spotted in the bar and has been known to react violently towards anyone who passes his appearance off as some kind of hoax! Another of the resident ghosts is George, one of the past inn keepers of The Woolpack. George was helping to conceal the priest who was allegedly killed in the inn. This actually resulted in George himself getting killed as well. 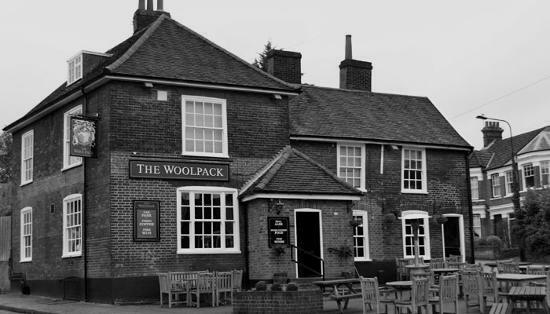 The monk is still hanging around too, in fact the chef who used to live and work at The Woolpack reported waking up to find the apparition of the murdered monk running past the bottom of his bed! There is also said to be the spirit of a drowned sailor and that of a local man who used to drink at the bar before his death. It has been claimed that The Three Turns pub is haunted by as many as 24 ghosts! One of the most active and indeed the most well known of the ghosts is that of notorious 18th century highwayman Tom Hardy. He is said to have used the Three Turns as a base for planning his unlawful activities. The activity tends to stick to manifesting as unexplained strange noises! 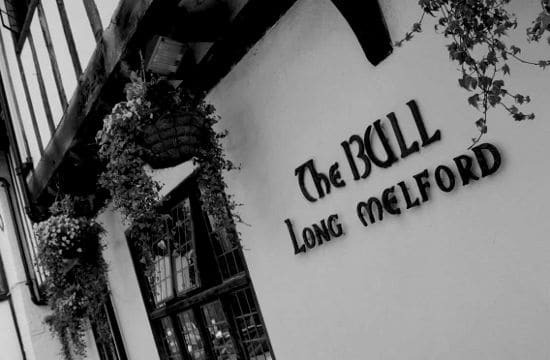 Suffolk’s Bull Hotel was originally built in the middle of the 1400’s and it is said to be haunted by the ghost of Richard Evered who was murdered here in 1648 and has stuck around since then to roam the corridors! Evered was killed during a heated argument with another man resulting in him being stabbed His body was laid out in the hallway while people ran to get help. However, upon their return Evered’s body was nowhere to be found! To this day, he is said to haunt room number 4! 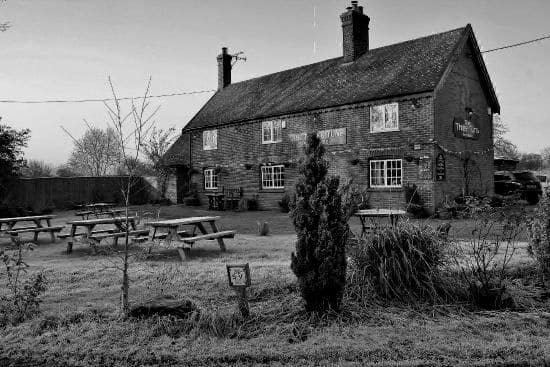 The tale of the ghost that haunts Suffolk’s Swan Hotel is a somewhat tragic one. A housekeeper who lived in the hotel in the 19th century when it was a bustling coaching inn is said to have gotten pregnant outside of marriage. The father of the child was more than happy to marry her and promised to provide for both her and her child. However, when the planned day of their wedding arrived, he had second thoughts and left his pregnant lover at the altar! She fell into a deep depression and ended up hanging herself in what is now The Swan Hotel’s room 15. She has terrified several members of staff including a security guard who encountered her on his nightly rounds and scared him silly! One guest, a nun, who slept in room 15 claimed to have woken in the night to find the ghost tickling her feet!